Husband receives message from her; since then, only threats from kidnappers. NAIROBI, Kenya (Morning Star News) – Islamic extremists suspected to be rebel Al Shabaab militants have kidnapped a Christian mother of two young children in Somalia and threatened her husband because of their faith, her husband said. Three masked men abducted Shamsa Enow Hussein, 28, on Aug. 5 in Bulo Marer, Lower Shebelle Region, at 7 p.m. outside her home after determining that she was a secret Christian, 31-year-old Mohamed Isse Osman told Morning Star News. “I just heard screaming from my wife and the children as I approached my house,” Osman said. That night, his wife was able to send him a text message saying he should flee the area, he said. A leader of the underground church in the undisclosed town to which Osman and his daughters, ages 3 and 5, have fled said Osman has not heard from his wife since her Aug. 5 text message. “Our two young daughters are crying for their mother,” Osman told the church leader. A resident of the Bulo Marer area whose name is withheld confirmed that Hussein was abducted but that local residents knew little else about it. “What little we knew about Osman’s family was that they were not very committed to attending the mosque during Ramadan time,” he said. Somalis consider themselves Muslim by birth, and apostasy, or leaving Islam, is punishable by death. Al Shabaab, said to have ties with Al Qaeda, reportedly has a base in Bulo Marer. The group has vowed to rid Somalia of Christians, who meet secretly due to persecution. 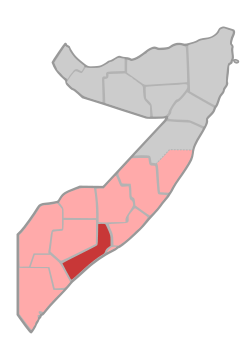 Al Shabaab is battling the Somali government that replaced the Transitional Federal Government a year ago, on Aug. 20, 2012. On June 7 in Jamaame District in southern Somalia, insurgents from the group shot 28-year-old Hassan Hurshe to death after identifying him as a Christian, sources said (see Morning Star News, June 20). Al Shabaab members brought Hurshe to a public place in the town of Jilib and shot him in the head, they said. The insurgents have lost control of several areas of Somalia since Kenyan military forces helped to dislodge them in the past year, but they are suspected in the shooting death of a Christian pharmacist on the outskirts of Kismayo in February. Two masked men killed Ahmed Ali Jimale, a 42-year-old father of four, on Feb. 18 as he stood outside his house in Alanley village (see Morning Star News, Feb. 28). On April 13, Al Shabaab rebels shot his widow, 42-year-old Fartun Omar, to death in Buulodbarde, 20 kilometers (12 miles) from Beledweyne, leaving their five children orphaned (see Morning Star News, April 22). On March 23, Al Shabaab militants in Bulo Marer jailed and tortured a Christian, 25-year-old Hassan Gulled, for converting from Islam, sources said (see Morning Star News, April 16). On Dec. 8, 2012 in Beledweyne, 206 miles (332 kilometers) north of Mogadishu, gunmen killed a Christian who had been receiving death threats for leaving Islam. Two unidentified, masked men shot Mursal Isse Siad, 55, outside his home, Muslim and Christian sources said (see Morning Star News. Dec. 14, 2012). Siad and his wife, who converted to Christianity in 2000, had moved to Beledweyne from Doolow eight months before. The area was under government control and there was no indication that the killers belonged to the Al Shabaab rebels, but the Islamic extremist insurgents were present in Buulodbarde, and Christians believed a few Al Shabaab rebels could have been hiding in Beledweyne. In the coastal city of Barawa on Nov. 16, 2012, Al Shabaab militants killed a Christian after accusing him of being a spy and leaving Islam, Christian and Muslim witnesses said. The extremists beheaded 25-year-old Farhan Haji Mose after monitoring his movements for six months, sources said (see “Morning Star News, Nov. 17, 2012). Mose drew suspicion when he returned to Barawa, in the Lower Shebelle Region, in December 2011 after spending time in Kenya, according to underground Christians in Somalia. Kenya’s population is nearly 83 percent Christian, according to Operation World, while Somalia’s is close to 100 percent Muslim.